[ARCHIVED THREAD] - South Carolina LE and residents in the know...I got a question for you. I am a South Carolina resident. I keep a pistol in the center console of my truck. Currently, it is rolling around in there with all my other crap and I want to organize and place the pistol in a mounted holster inside the center console in my truck. Recently, I was told by a sheriff's deputy that it was not legal to do so. 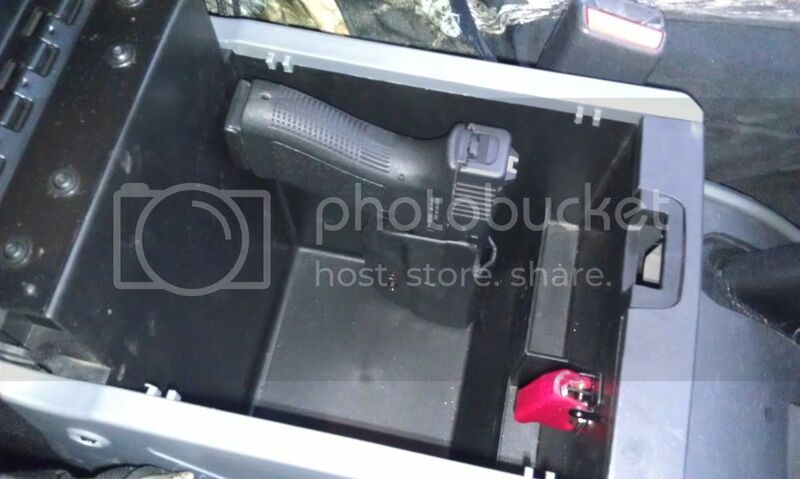 My question is this...if it's legal for me to have a pistol in my center console, why would it not be legal to place it in a mounted holster inside the center console? I did not want to argue with this fella, but his comment does not make sense to me. So, for all of you South Carolina LE and folks in the know, what am I legally allowed to do? The common cop on the street doesn't know the gun law. Ask 5 and you'll get 5 different answers. Its why I got my GA permit 20 years ago. ETA, and I hate SC laws, how stupid is it as to where the hell you CAN put your gun??? You sure he knew you meant inside the console? As you already know, keeping a pistol in the glove box or console doesn't require a CWP or anything. 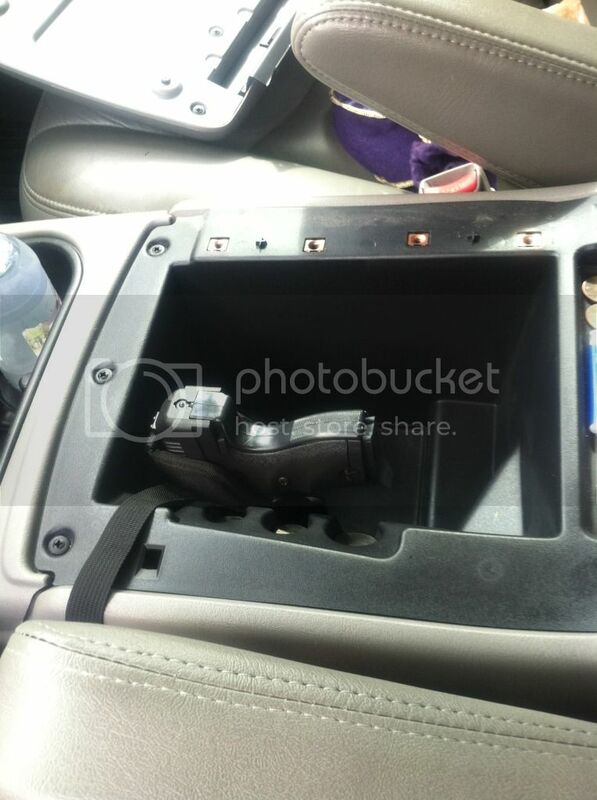 I can't see how mounting a holster inside your console would be any different. Now, mounting a holster on your steering column and slapping your pistol in it is a no-no, as far as I know. Maybe he thought you meant something like that? This is exactly my question...what differnece does it make if the pistol is rolling around the inside of the center console or is neatly tucked inside a mounted holster...INSIDE the console. I honestly don't think it does make a difference. I think, as outrage posted, that deputy doesn't know what he's talking about. EXACTLY what I'm talking about doing....thanks for the pics! 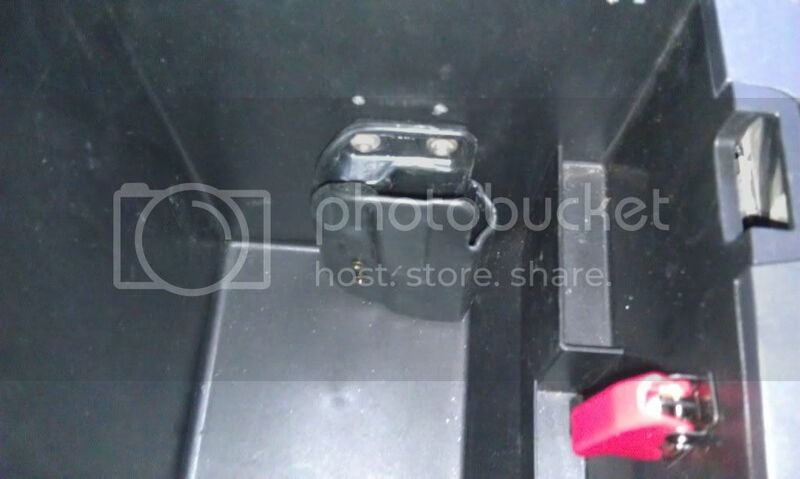 Glove box or console is fine. However if you transport a pistol in the center console in condition one I would suggest mounting a holster or something to cover the trigger. You wouldn't want a ND to happen because your sh8t got in the trigger guard and a round went off in your leg or someone else's. No problem. I think it's a really good idea. When I was living there and carrying, I just left it on my hip while I drove. So unless I practiced drawing from a seated position (which I didn't, I know, shame on me), I would be at a disadvantage if I needed it. But when I drive, my arm is always on the center console. Flipping it open and grabbing it would be infinitely quicker, for me, I'd think. Welp, there ya go. Looks like you're good to go, OP. I don't ever have one in the chamber in my truck...it's just one of those things I'd rather not do. I can chamber very quickly if needed. The holster I want does cover the trigger. Thanks guys. I guess I'm good to proceed with my console mounted holster. Yes you can do that. Cop is misinformed at best.